Microsoft launched the latest game in their Halo series last week, Halo 4, yesterday we heard some rumors that Microsoft had sold over 3 million copies on launch day and now Microsoft has revealed some details about just how successful the Halo 4 launch was. Halo 4 has reached a massive $220 million in sales in the first 24 hours, and is on track to reach $300 million in the first week of it being on sale, and according to Microsoft, Halo 4 has eclipsed the biggest movie launch in US box office history. In a year when Hollywood is rolling out its biggest blockbusters, one video game has eclipsed them all. 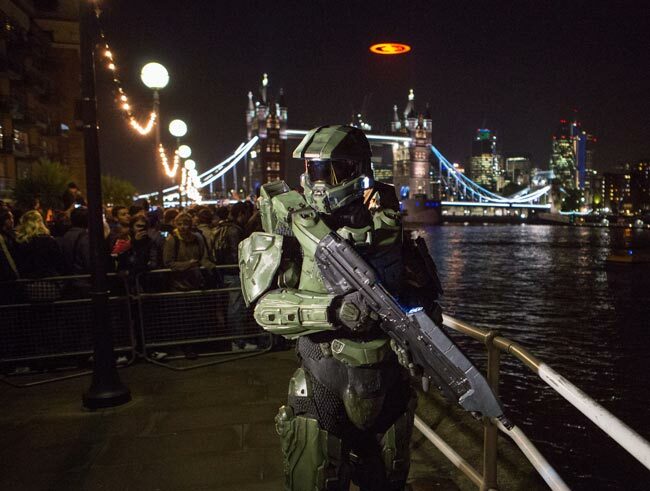 “Halo 4” is on track to reach $300 million in global sales in the first week, making it the biggest “Halo” launch in history and the biggest entertainment launch of the year to date. In the first 24 hours of its release, “Halo 4” garnered more than $220 million worldwide, eclipsing the record for the biggest day-one opening in U.S. box office history, “Harry Potter and the Deathly Hallows: Part 2,” and the biggest movie of 2012, “The Avengers” – based on U.S. sales alone. Microsoft also announced that their Halo franchise has made a massive $3.38 billion, since the first Halo game was introduced, you can find out more details over at the Major Nelson Blog at the link below.